Hospitals and medical practices house a goldmine of valuable patient information for hackers. Personal information such as birthdays, credit card information and medical history are entered into a database after visiting the doctor’s office. For this reason, medical practices are one of the largest targets for data breaches and should uphold strong cybersecurity measures. Cybersecurity starts with the people who use the network most frequently: the employees. If employees are uneducated or not properly trained on cybersecurity procedures in the medical practices, mistakes will be made. For instance, the Utah-based company HealthEquity reported that 23,000 accounts were compromised in a data breach earlier this year. According to SC Media, this breach was the fault of a single employee who fell for a phishing scam. This devastating cyber attack could have been avoided if the company’s employees were educated on work-life security measures. There are a few simple ways to incorporate cybersecurity education into the typical work day for employees. For example, by administering routine phishing checks on devices, companies and health practices can assess their employees’ security knowledge and performance. According to Information Security Buzz, it could be beneficial for companies to incorporate cybersecurity education into the onboarding training and materials for new employees. 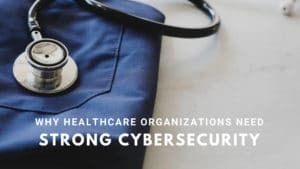 This ensures that all employees entering the healthcare field have a foundation of cybersecurity knowledge. For more information about cybersecurity in the healthcare field, check out MDL Technology’s website to learn more.